Geta repairman at work on the street. 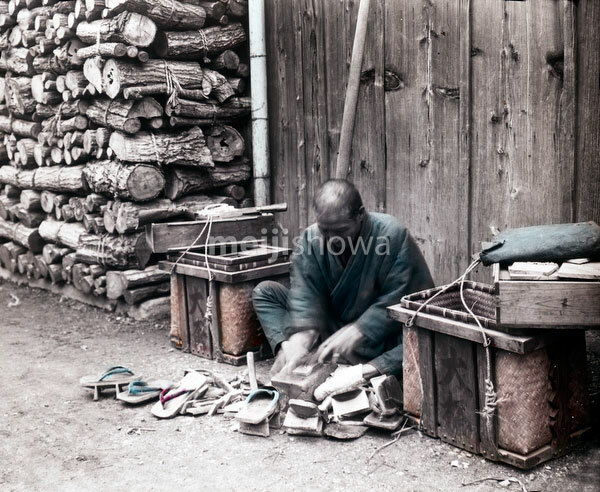 Geta craftsmen walked around offering their services in repairing geta, wooden shoewear. Tools such as a hatchet, plane, and chisels, were carried in baskets balanced on a pole.